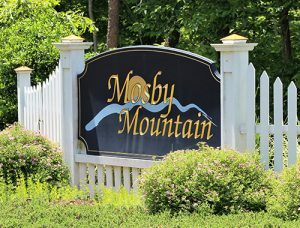 Homes for sale in Mosby Mountain start in the high $400’s. Mosby Mountain is located in Charlottesville off of Old Lynchburg Road. The neighborhood is filled with large single family homes. Theses houses were built by some of the best builders in Charlottesville. Each home is unique in it’s own way. The neighborhood is built on 113 acres of the land. Lot sizes are generally 1/3 acre. Homes were built by Craig Builders, Wendell Gibson and Gafney Homes. Mosby Mountain homes offer easy access to Downtown Charlottesville and UVA and Interstate 64.